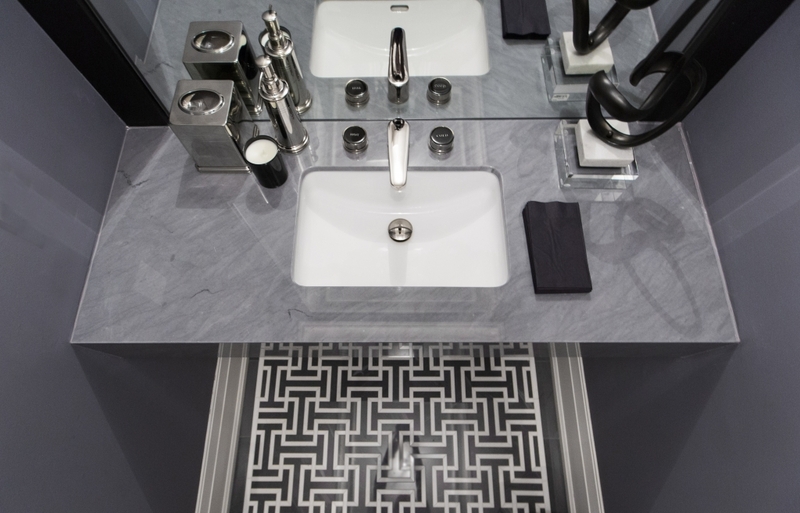 For this powder room we decided to go with an eye-catching floor tile in a gorgeous geometric pattern. 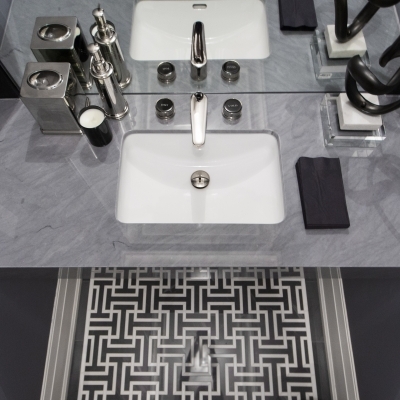 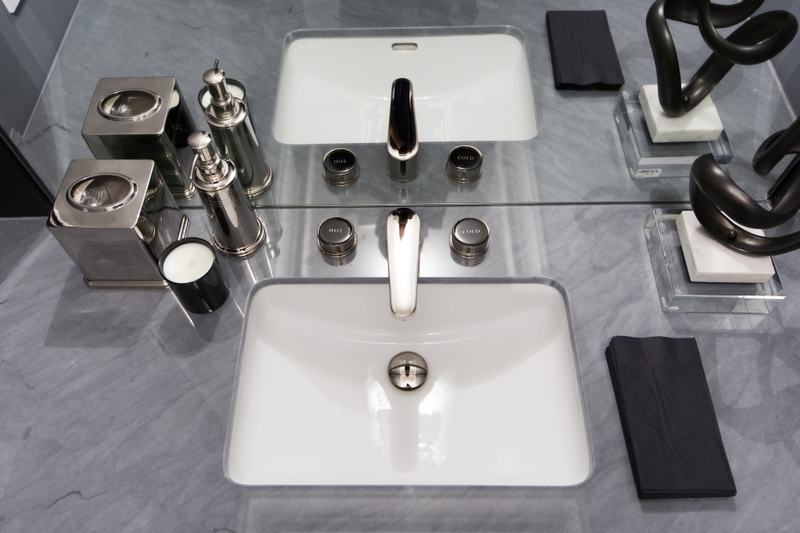 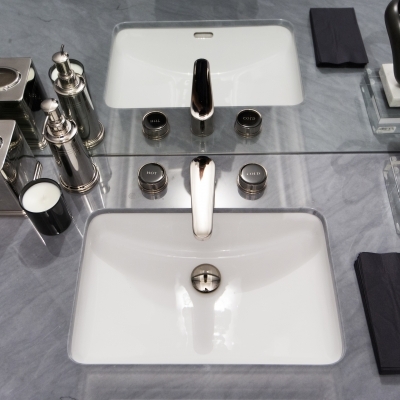 A modern vanity and chrome details add a style while black accents ground the space and complete the look. 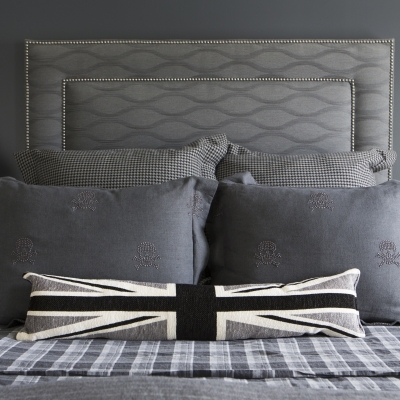 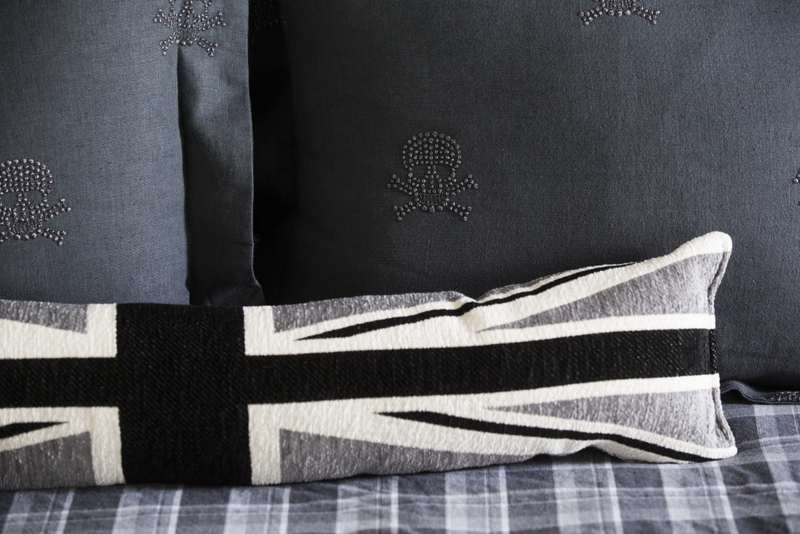 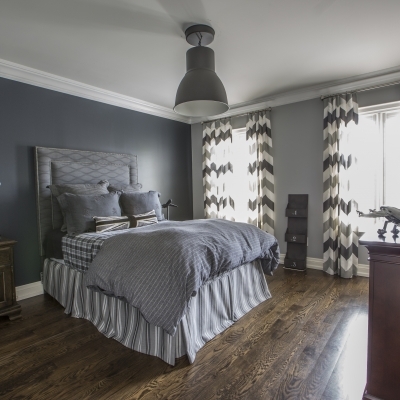 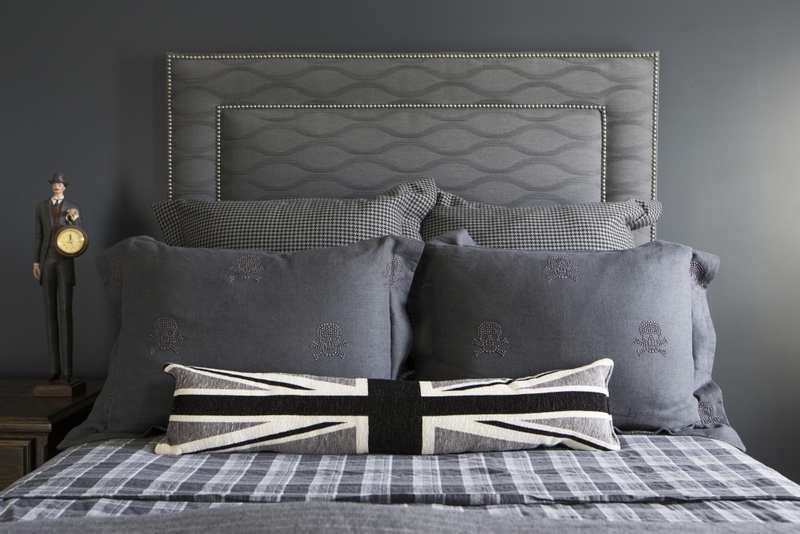 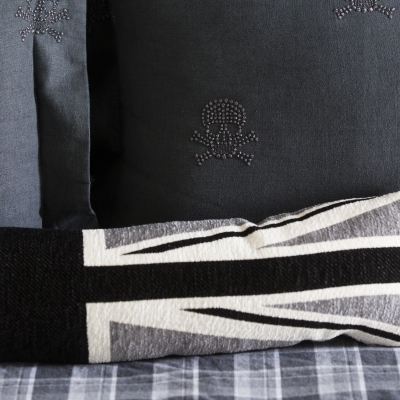 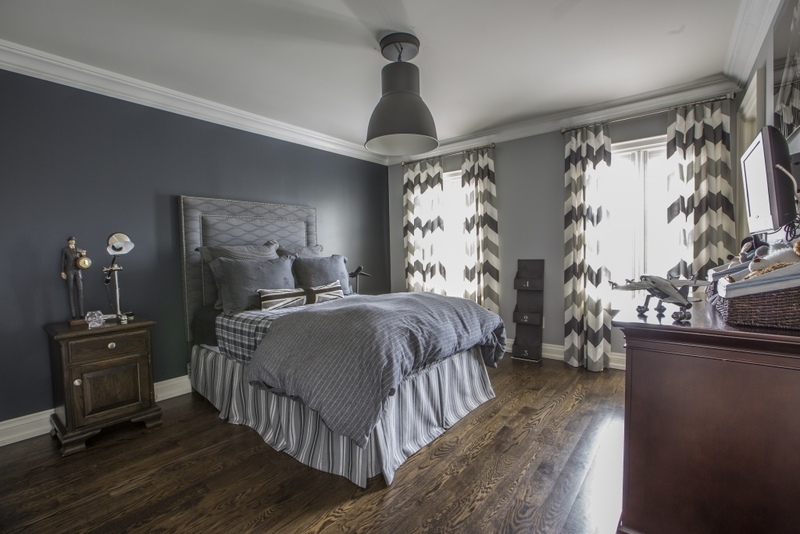 In the bedroom we carried through the grey colour scheme and added a mix of patterns to create depth and interest in the space.